The Porsche 911 Turbo currently employs a 3.8-litre, horizontally opposed six-cylinder engine with a twin-turbo, but according to a report by Autocar they are set to upgrade it to a tri-turbo induction system. Porsche has just released this new video of the new Porsche 911 (991) getting put through its paces at the Porsche Experience Centre in Silverstone. 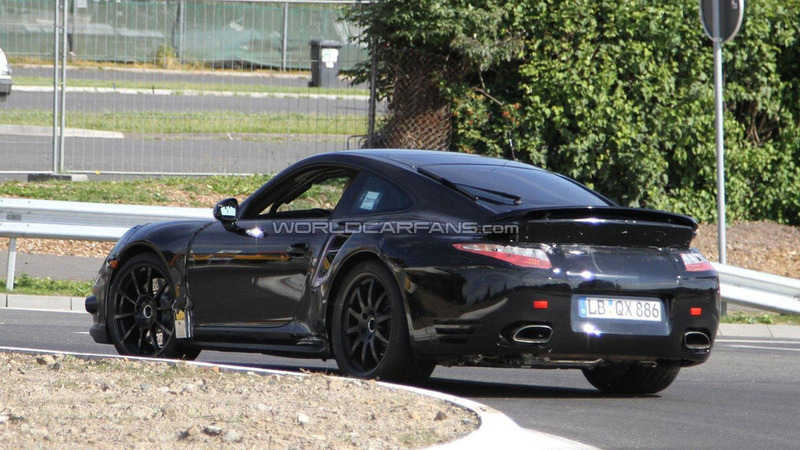 New Carrera S posts a Nürburgring lap time identical to the (997-generation) 911 GT3. 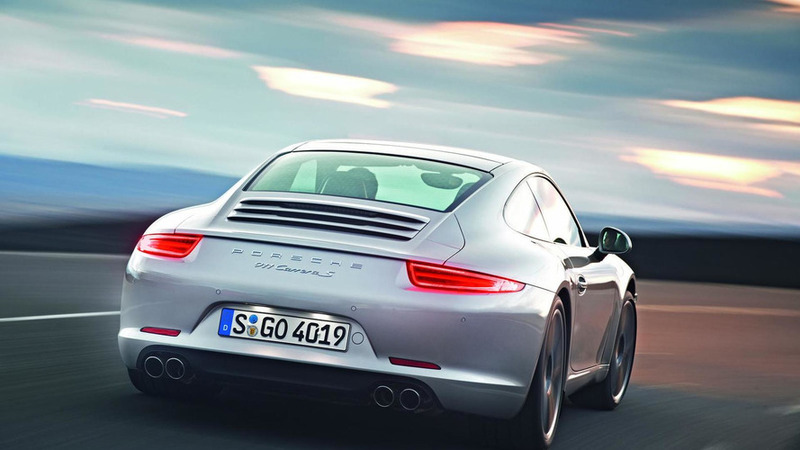 Built to usher in a new era of performance, the 2012 Porsche 911 has an evolutionary design that is instantly recognizable. 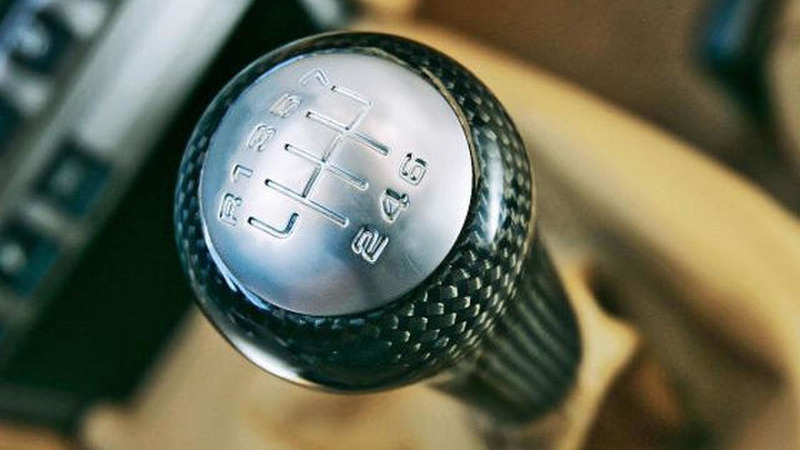 Video explains the workings of the new 7-speed manual gearbox as well as the ratio gearing of the 7-speed PDK. 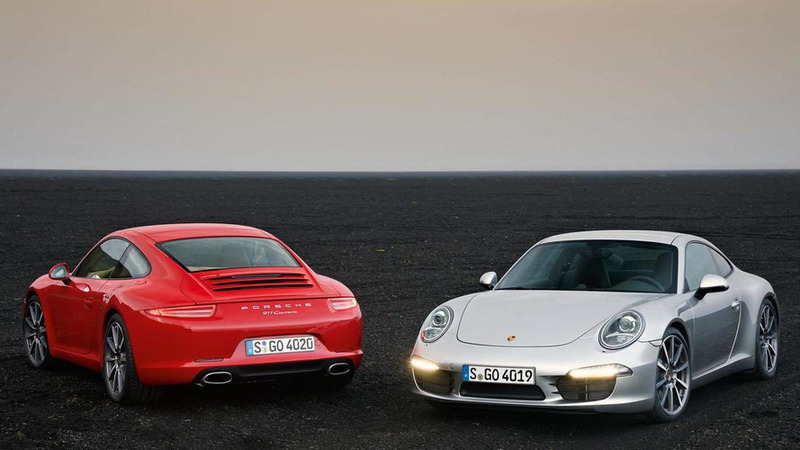 Next-generation 911 Carrera and Carrera S models will debut at the Franfkurt motor show but are available for order as of September 1st. 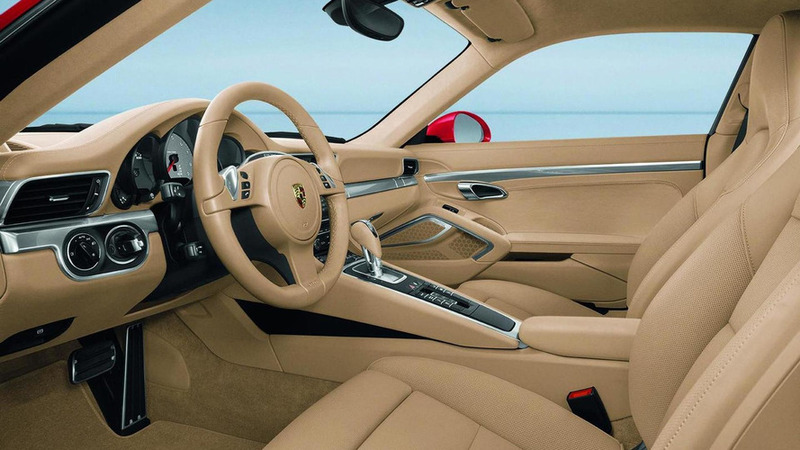 Porsche has released a second teaser video for the redesigned 911. It shows the car being tested in the Arctic Circle. 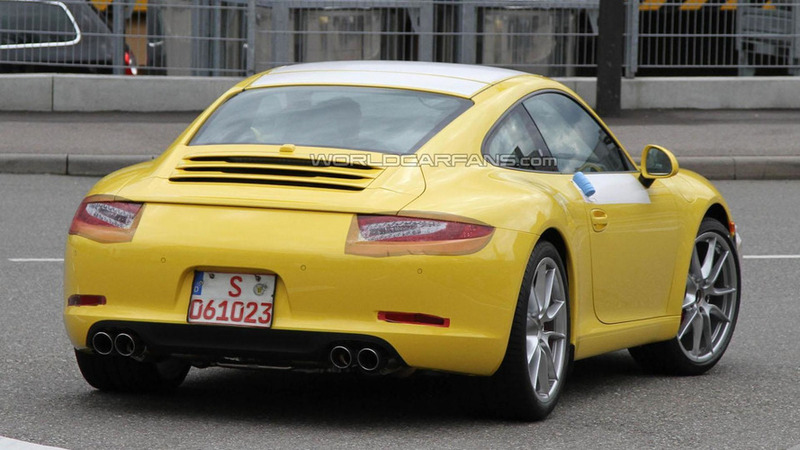 The 2012 Porsche 911 has been spied more times than we can count, but the first official images have apparently leaked to the web. 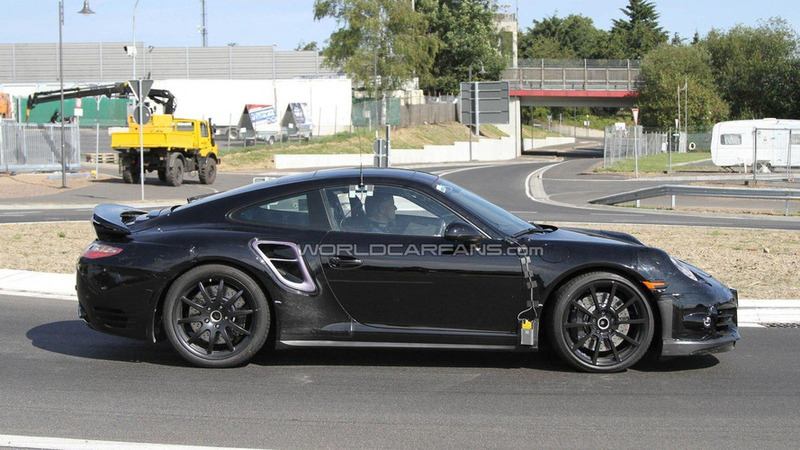 Video shows a next-generation 911 Carrera virtually undisguised at at gas station in Stuttgart, Germany. The Frankfurt Motor Show is just around the corner and Porsche is rewarding our patience by stripping camouflage from 911 prototypes. 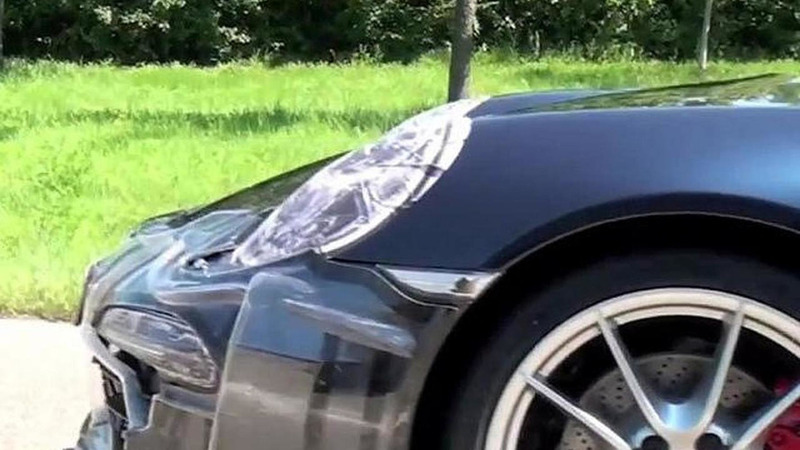 991 Carrera prototype video shows car buzzing around the environs of Zuffenhausen, Germany. 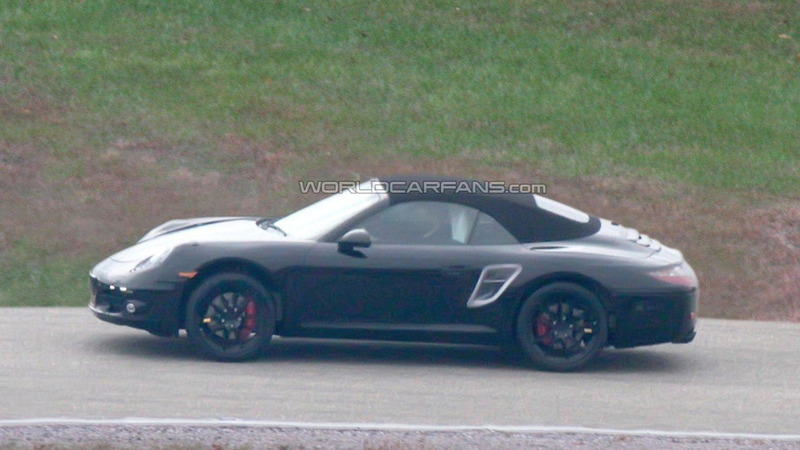 Porsche 911 seven-speed manual confirmed? 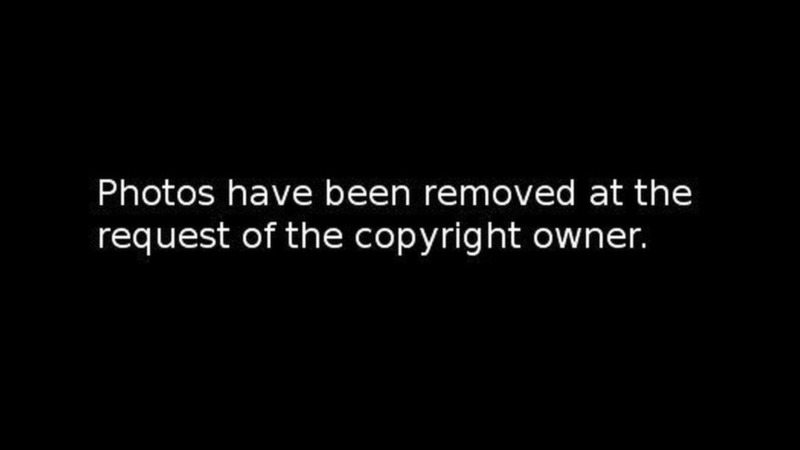 A keen-eyed observer has noticed something unusual about the 2012 Porsche 911 teaser video - it apparently shows a seven-speed manual transmission. 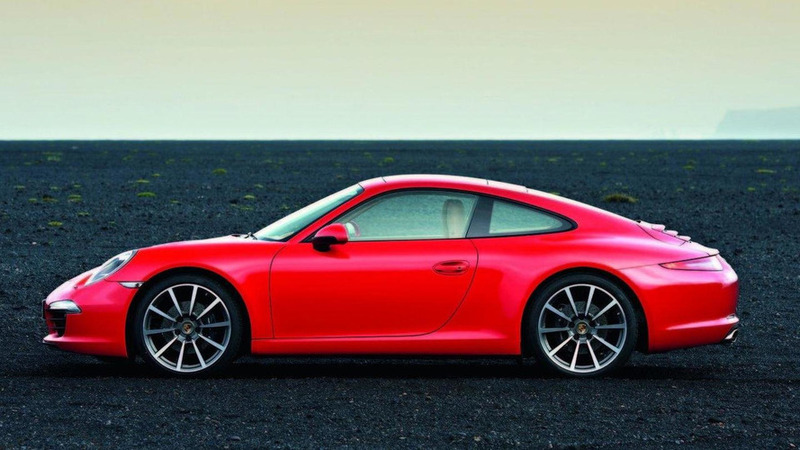 High-value production captures the next-generation 911 as it undergoes testing in South Africa. 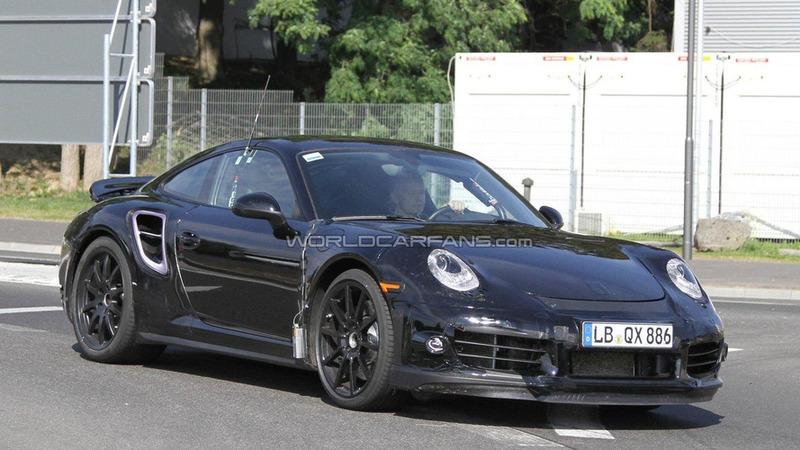 Spy shots of the next-generation 911 Turbo show large air intakes and big rear spoiler. 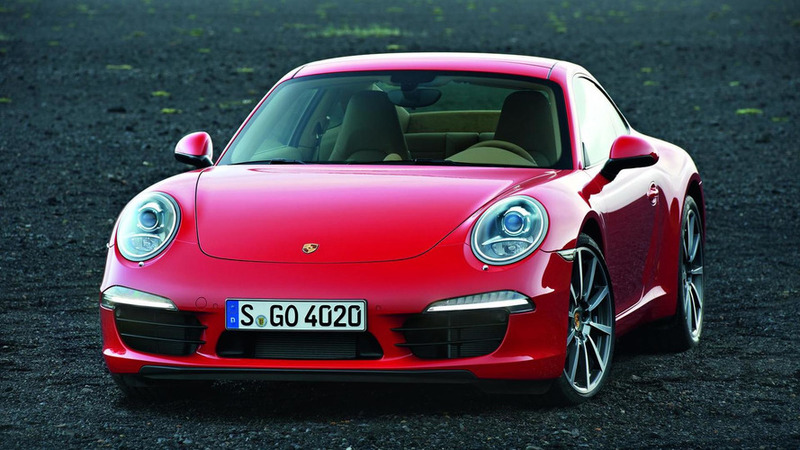 On the outskirts of Steinegg Germany a Porsche 911 Cabriolet prototype went up in flames during a routine test drive. 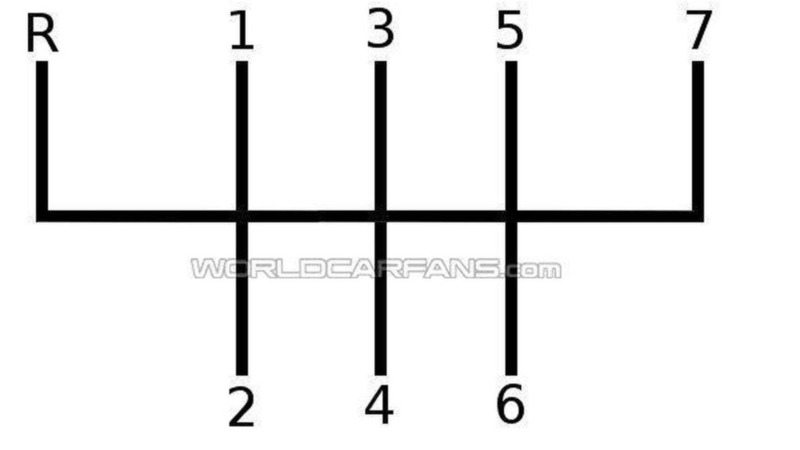 2012 Porsche 911 seven-speed manual layout revealed? 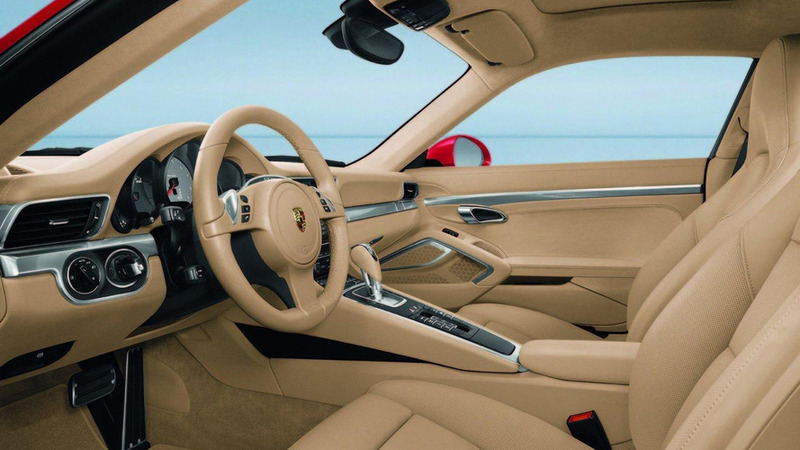 According to a recent report, the seven-speed manual transmission in the 2012 Porsche 911 with have a fairly traditional layout with the seventh gear added on the top right. Longer seventh gear will help improve fuel-economy and reduce engine noise on lengthy cruises.